Chron Burgundy holds it down! “Hold it down!” – was the projected and exclaimed command Chron Burgundy gave to the chatty, restless crowd. The phrase that he’s now known for, was initially coined during his days when he officiated and did the time-keeping for the now dormant Art of War battles league. 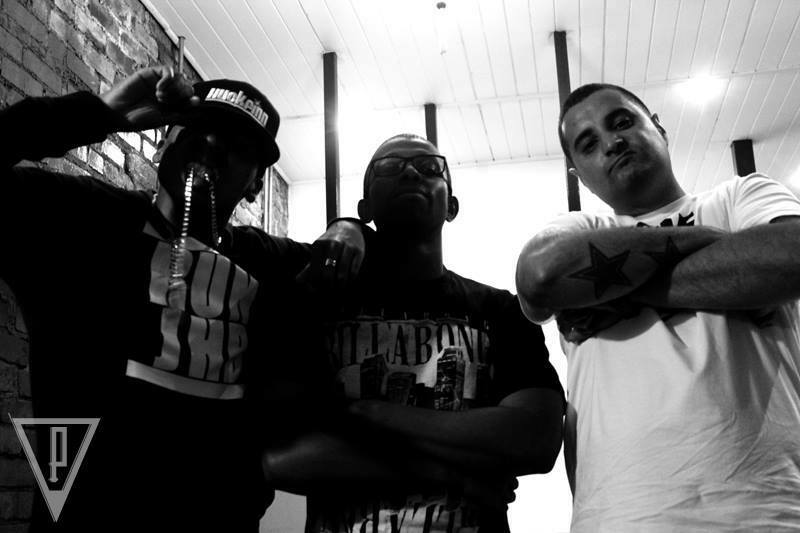 Chron always ensured rappers “played by the rules” by keeping it ‘official’. This has now transcended into his raps/music and “hold it down” for local hip-hop heads. He’s still calling fouls (expletives), although he’s no longer known as “Foul”. He was also a contributing writer for the South African hip-hop publication Hype Magazine, some time ago. This experience may have contributed to making him the “Ron Burgundy” (a movie character played by Will Ferrell in Anchorman: The Legend of Ron Burgundy) of hip-hop – the Anchorman who holds the show down. Though his style is not based as far back as the 1970s – Chron still keeps it “old school”. The man who dropped his first solo project #Sandcastles in 2014, serves as one-third of the group, Sounds Intense. The group released their single Money In the Bank on the 8th of May 2015. 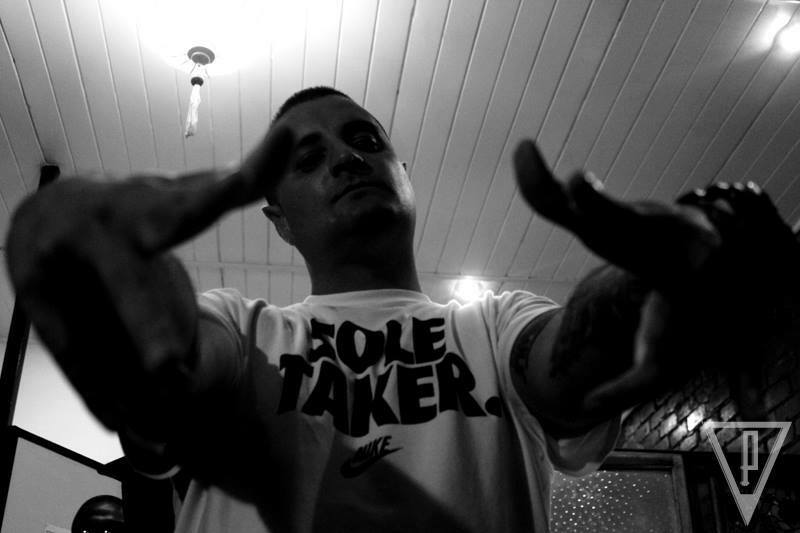 Chron took time out to speak with Lavatory Records about his journey into hip-hop, the change of names, TTE (TitusTrack Entertainment) and much more. LR: We’ve known you as Foul-Play, Why the change to Chron Burgundy? Chron: This question comes up a lot, even in the streets when I see cats around the way. Simple answer, I have grown since my days as Foul-Play and I’m now a more matured artist. I will always be Foul-Play; it’s a part of who I am and where I came from. Some cats still call me by this name and I have no issues with it, because that’s still who I am. However, it also shows who my “day ones” are (ha-ha). But, if I needed to grow as an artist in this industry, I had to rebrand myself and give light to a new alias. However, as I said, I’m still Foul-Play to the fans. 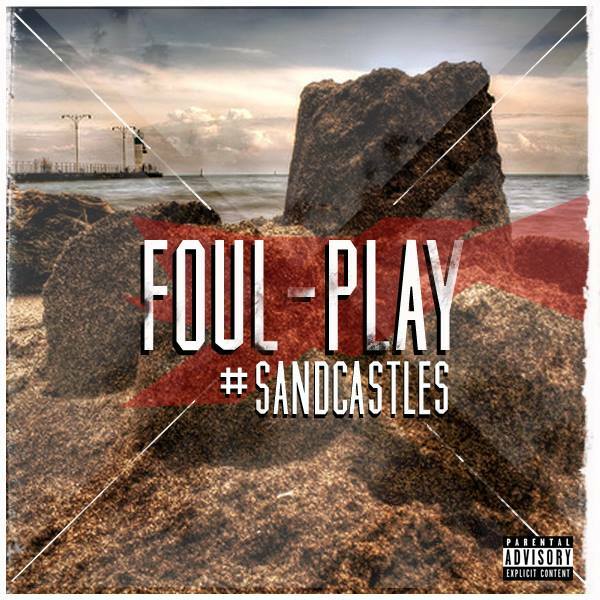 I even refer to myself as Foul-Play on my raps, so it’s kind of like an AKA of an AKA. Even though Sandcastles was under Foul-Play, it was a Chron Burgundy project. LR: For those who are not acquainted with you, who is Chron Burgundy? 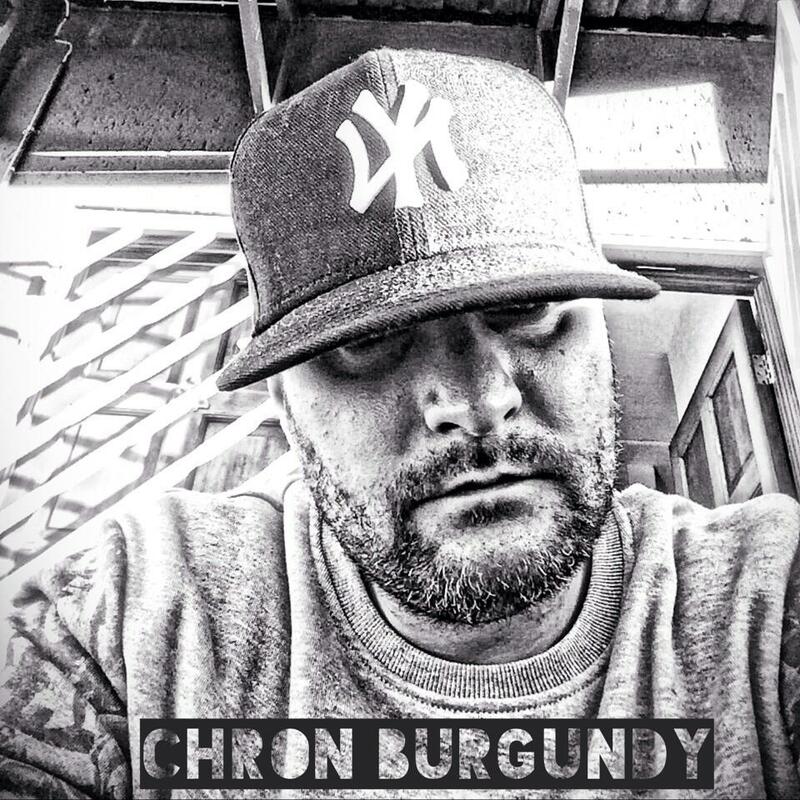 Chron: “Chron Burgundy” is one of the hardest working emcee’s you ever going to know… Also one of the most technical emcee’s you ever going to hear. He’s a humble artist, who has genuine fans, and doesn’t only rap for friends and family. His fan base is across the globe, due to his desire for perfection… It comes through in the product he puts out to the public. One third of Sounds Intense, and all parts beast on the mic. He’s also an overall nice dude, so don’t leave your girl ‘round him. LR: In a previous interview your counterpart and stable mate, Paragon, mentioned how TTE was established, what was your experience of that process? Chron: The experience has been nothing but hard work, and literally late nights prepping and practicing, and making sure all our ducks are in a row. My team works well together, we always have and always will. We have a general understanding to what the plan is and where we need to get to. It’s been a learning experience for all of us, and everyday still is a learning experience. Yet, with learning comes growth and the TTE brand is flourishing for a team who have done nothing but self-invest time, money and our souls, into everything that stands for TitusTrack. That’s why cats try to shun us in this game, they know we better than them. They know once we get our foot in the door, it’s over for a lot of rappers. LR: You are someone who’s put out some serious work over the years but yet to receive much acknowledgment from the industry. Do you feel the machine we call the “mainstream media” needs overhauling? Chron: I have been around for a ‘long-ish’ time yes; however I haven’t put out a lot of work, technically. Sounds Intense and my solo project Sandcastles, is literally all I have done. My new project will be my third project under my belt. It’s not that much work. However, the work’s about to come through intensely, so expect to see a lot of things pick up from me and the crew. LR: You are known to have love for the golden era hip-hop, that is, the 90s. What would you say is missing from the current contemporaries? Chron: Hunger, skills and overall talent…it lacks so badly right now. Rappers claiming they skilled, for kicking simple raps is a joke. Hip-Hop is still about lyrics, always has been and always will be. Telling me lyrics don’t matter, tells me you better off being a house DJ instead of a rapper. The art of emceeing needs to come back, and we bringing it back… check the technique! LR: Who are your favourite acts from the old school, and who are you feeling from the current crop? Chron: Old school! Man that list is long – Big L, Method Man, Redman, Das EFX, EPMD, Illegal, Da Youngstas, Da Brat, Kris Kross, Fu-Schnikens, Lord Have Mercy (Flipmode Squad), Outsidaz (Young Zee mainly), old Eminem is still heaters, Shyheim…man I could be here all day, name dropping all my favourite 90’s Hip-Hop acts. New school cats, definitely give listens to cats like Raz Fresco, Bishop Nehru, Joey Bada$$ and the rest of Pro Era. 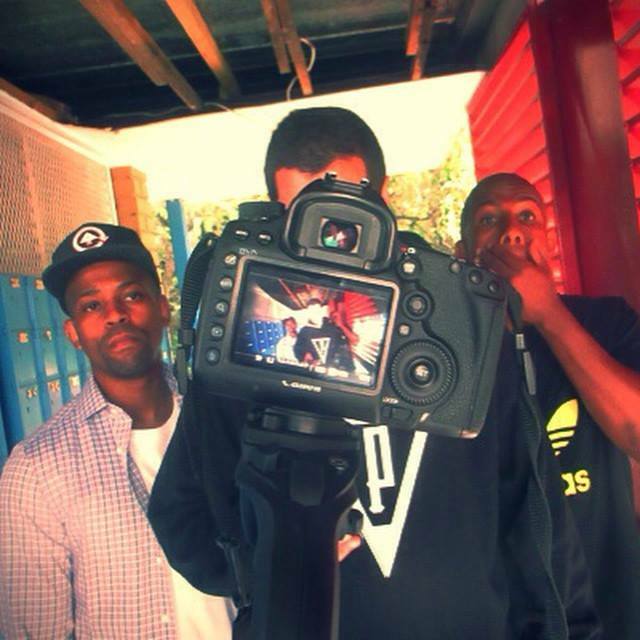 Ironically new school cats, who sound like old school emcees, right? (Ha-ha) I also f***s with A$AP Mob and SchoolBoy Q, I like what they do with their sounds. LR: The internet has undoubtedly changed the dynamics within the game. Where do you see the direction of the music industry going? Chron: The internet has allowed independent artists to flourish a lot more, and has given a lot of us a bigger platform to expand. The internet is not as bad as most music artists want to claim it is. But it’s a win/lose situation, because bootlegging does take away from a lot of income, sadly… but we have to adapt and think smarter. Maybe artists should start making better music, so those who bootleg actually want to show support by buying a classic album. None the less, the platform to expand is needed, and will always be needed. Thumbs up for the inter-web!! LR: Apart from your TTE crew, which other artists or producers have you worked with or shared a stage with? Chron: Death Star, Forbidden Poetry, Th3ee Words, PityGritty, 2J Harmonix, Toxic Flow, Ether Versez, Venim, Rival Ace, Nic Blaze, Mexikano, OnlyOne (Sandpeople), Ea$y Money (ST da Squad), Slyme, Cata-Lust, Rawtek, BFK and Youngsta, Anti-Bulls***… just to mention a few. Grab my Feature Presentation vol.1 mixtape, it has all the featured works I have done. I’ve got vol.2 coming out real soon as well. LR: What has been the highlight of your career thus far? Chron: Being told how inspirational I am to people. Never thought people were listening to me on that level. Despite songs on radio, and performances for crowds, and gaining a fan base, which continually grows. Being inspirational to the next cat, means I am doing what I was blessed to do. Chron: Honestly, there are a number of local cats I’d love to spar with on wax… Because I know how good they are, and I know I can compete with them on that level. Notably cats like Zakwe and Cream, I will always want to work with my immediate team. Internationally, sheesh, you’ll need a whole blog for me to fill up that space. LR: Do you have any projects or events lined up that we should look out for? 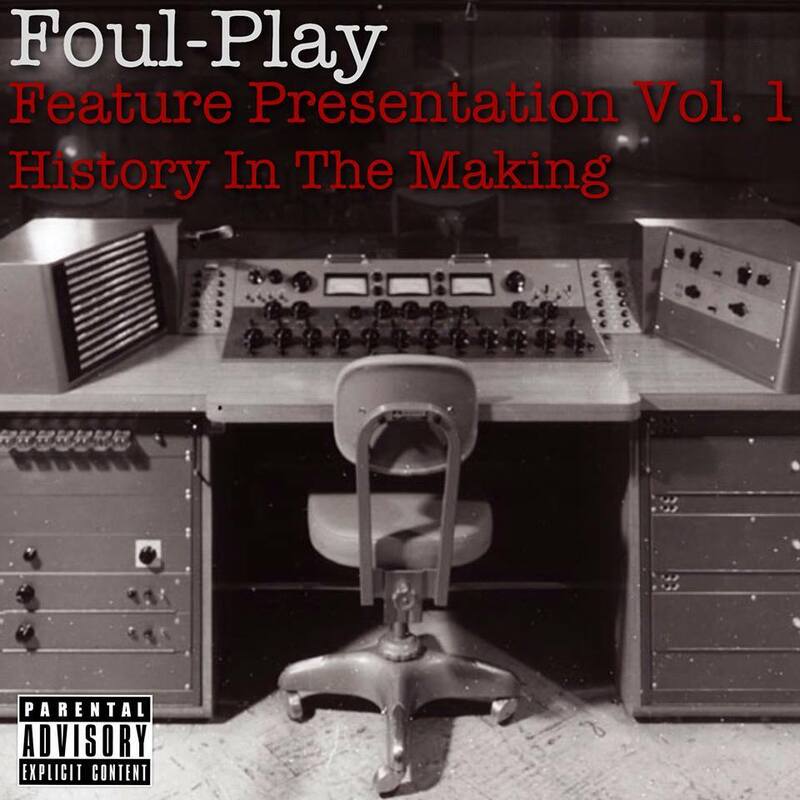 Chron: My second solo offering is dropping soon, titled Play by the Rules and also the new Sounds Intense project. My EP and LP are definitely coming out within the next year to a year and a half, but a date on that isn’t set. I’m excited about Play by the Rules dropping though, I’m bananas with the bars on there. Too many special shout outs to mention individually… I love all of ya’ll!! We thank Chron Burgundy for speaking with us. If you want to keep up with his latest developments, follow him on Twitter: @chronburgundy, Instagram: @chronburgundy, Facebook and Soundcloud. You can also subscribe to his YouTube Channel to watch the Sag Ya Jeans and Flows Wit It videos. Since the 29th of May 2015, Chron released his second release Play By The Rules, available for streaming and download. Don’t forget to download his first solo project #Sandcastles and the respective singles where he most recently featured on, The Drug Cartel by Falcone and Money In The Bank by his group Sounds Intense.